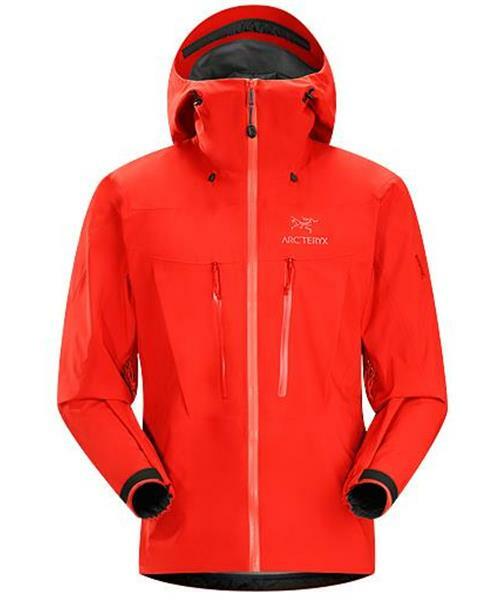 The Alpha SV first appeared in 1998 to address the needs of alpinists for a lightweight, streamlined, waterproof jacket that could work with a harness. Hard-wearing, stripped down and unlike anything else at the time, the Alpha SV quickly became an iconic Arc'teryx piece and revolutionized the outdoor apparel industry. Simple, sleek and stylish, the Alpha SV is also a technical beast. Traditional bellowed crossover pockets sit high and work with harness and packs; helmet compatible StormHood™ cinches tight and covers the neck, head and lower face; removable HemLock™ inserts keep jacket in position while in use with a harness; WaterTight™ zippers seal out weather. Manufactured with a new N80p-X GORE-TEX® face fabric five years in development, the Alpha SV Jacket retains its remarkable durability, yet is supple and quiet. Engineered to shed water, snow and resist abrasion, the textile is tightly woven to create a flat smooth face. Premium GORE-TEX® Pro delivers the highest degree of windproof, waterproof/breathable protection. Arc'teryx designs are functional, disciplined answers to unforgiving environments. Constantly refined over time to improve function, the landmark Alpha SV now has a reduced chest circumference and has been re-patterned for a closer fit, with more efficient arm movement.